I’m learning to NOT base my identity on what I do, but ONLY on What God says about me. 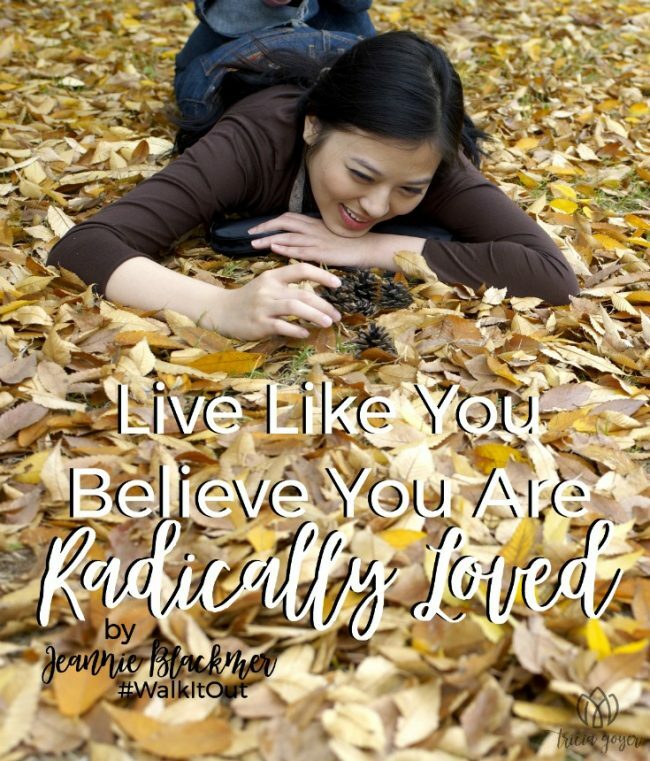 It means living radically different than I have in the past. I’ve spent most of my life focused on doing. As a young girl, I was the good girl. I got good grades. I didn’t get in trouble. I did good things for others. I did sports. I graduated and went to college. I got my masters. I worked. I married, had kids, had pets, and wrote some books. I did some triathlons, long runs, and bike rides. I volunteered. I learned to cook, sort of. I did everything I thought I should do. Now, I’m an empty nester, a really empty nester. (I wish some one had warned me that after I watched my kids launch into the world, it wouldn’t be long before I would have to say goodbye to our beloved family dog.) Anyway, our home is quiet, our food in our refrigerator actually goes bad because the boys are not here to gobble everything up, random filthy socks and muddy shoes do not litter the floor, and white dog hair does not cover all of our rugs and furniture. I know to some of you moms with little kids this sounds heavenly. It is for a moment, but then you miss it all. After so many years of crazy doing, my husband and I decided we wanted to slow down, decompress, breathe and sleep well. So, we sold our home, gave away most of our stuff, and simplified our work commitments. My days were less scheduled. I took long walks. I was more available to be with friends without having to plan weeks in advance. At first, I enjoyed the less stressful, less frantic life—for about three months. Then I experienced a sort of identity crisis. Who am I? What is my purpose now? What should I be doing? I noticed how much emphasis I put on this word in my life. As I thought about this more, because I had the time to actually think, I realized how much pressure I put on myself to be a doer. I realized I defined my identity on what I did and at this stage in my life I didn’t feel I was doing anything significant. This seemed to be a common theme with many of my friends too. Wow. I wish someone had told me this sooner! If I lived this way, truly believing God radically loves me, how much differently would I have lived my life? As a young girl, I might have laughed more. As a teen, I might not have cared so much about how I looked. As a young woman, I might have had more adventures and doubted myself less. As a mom, I might have had more peace. I can’t undo my past but I can move forward into my 50’s living knowing I am radically loved by God and not because of what I do. I don’t have to strive to impress anyone when I know God loves me. I know when I live with that confidence I experience freedom, joy and peace. And that is how I want to live. I still hope to do meaningful work and I am waiting to see how that unfolds, but I know I am radically loved and that’s all that truly matters. Shauna Niequist in her book, Present over Perfect, sums it up nicely, “…God loves me, and that there is nothing I can do in this new day to earn more love—nothing. And also that there’s nothing I can do in this new day to ruin or break that love—nothing. I can’t imagine anything more life-changing for an earner like me.” Me too. ⁕If you started to live your life today believing, truly believing, God radically loves you, how would your life change? 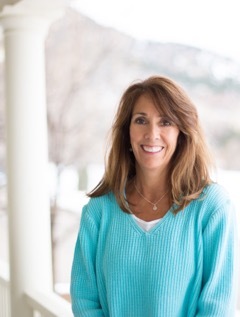 Jeannie Blackmer She is excited about her newest book, Talking to Jesus: A Fresh Perspective on Prayer, and hopes this book will ignite a desire for a deeper, more intimate prayer life for readers and help others see how relevant the Bible is today. She lives in Boulder, Colorado with her husband, Zane, and their three sons. For more information visit www.talkingtojesus.com. 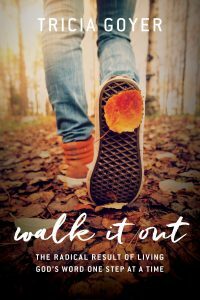 Click here to order a copy of Walk it Out!